An I-Team investigation prompted the City of Milwaukee to reverse a decision. Annie Travis' problem doesn't exist anymore. “The I-Team solved my problem,” explained Travis. 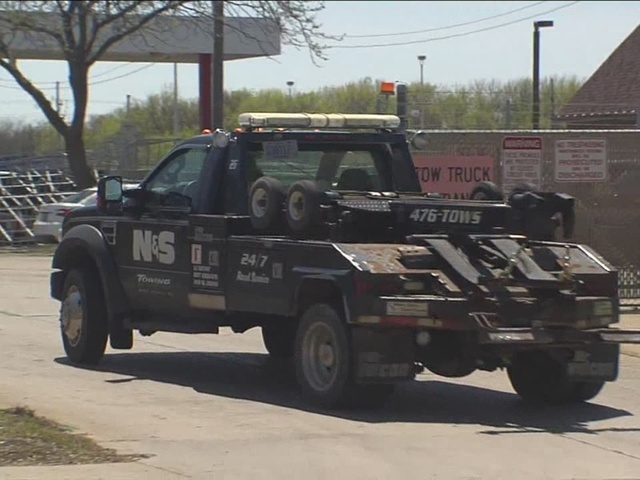 Back in June, TODAY’S TMJ4 investigated how the city of Milwaukee condemned her black suburban. The Department of Neighborhood Services said her vehicle was "unlicensed or improperly licensed" and was a "health and safety threat" because of a broken window. The registration on the vehicle did not expire until December 2015. Travis paid $142.00 to repair the window before the city's extended deadline. But a week later the SUV was towed and eventually demolished. The city told Travis she had to pay $2,100 for the demolition cost. “There's no way I could have afforded to pay the city,” said Travis. The I-Team's investigation revealed the city never sent any notices to Travis letting her know they towed the vehicle. Travis called city officials looking for her SUV, and she even reported it stolen. But the I-Team found out her suburban sat in the city tow lot for more than a month before it was demolished. “It was really weighing on me,” sobbed Travis. Then this week, hours before she was to appear before the city's judiciary and legislation committee to argue her case, the city called Travis. “They called me and said we're going to settle. I couldn't believe they wanted to settle,” said Travis. Instead of forcing her to pay, the city will pay Travis $2,100. “The I-Team’s story is the thing that explained everything,” said Travis. The committee watched the I-Team's report from June then acted. “A lot of the information that recently came up with the news coverage brought some attention to the matter,” said Ashanti Hamilton, the committee's chair. In 2014 the city condemned 650 vehicles and demolished 30 of them. Alderman Russell Stamper said DNS should change its notification policy to prevent another mistake. "They have to let people know, give people an opportunity,” said Stamper. A DNS spokesperson told us there are no plans to make any changes. “So if that is not in policy you better believe I will make sure that is put in place,” said Stamper. Travis spent the past nine months riding the bus for transportation. She hopes can find a dependable car with the settlement money.